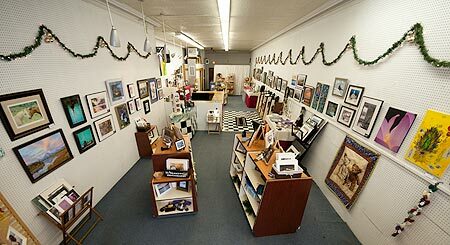 The 2011 Holiday Art and Craft Market at 115 South Queen Street in Martinsburg will officially open today at noon! So when you head out to start your Holiday shopping, stop by here first. We don’t have any big screen TVs but you’ll find a wide selection of creative gifts from 22 local artists and artisans to fit any budget. Come by between 3pm and 7pm for an opening reception and meet some of our artists, enjoy light refreshments, and then live music starting at 5. The Holiday Art and Craft Market will be open Wednesday-Thursday, Noon-6pm, Friday-Saturday, Noon-8pm, and Sunday, Noon-4 through December 23. The Market is a collaboration of the Berkeley Arts Council, The Heritage Craft Center, and ArtBerkeley. A portion of the sales will go to these 501(c)(3) non-profit organizations to support their ongoing community arts programs.